I was just thinking about how these Preschooler Summaries can seem kind of un-interesting to me. But then I read Brayden’s for this age and saw we had moved to rest time, which is something I did at the end of this period and felt like it was early, so I guess even if it isn’t earth-shattering at the moment, it can be helpful in the future. Eating is similar. I would say there is mild improvement to her sense of adventure with new foods. She does still constant try to eat fresh raspberries and blackberries and other foods she knows sh doesn’t like, but she sees the family loving and thinks maybe this time it will be good. She went through a week or two where literally all she wanted to eat was bread with butter. I make bread from scratch–including the ground up wheat–so I feel okay about her eating the bread, but we all know she can’t possibly live by bread alone, so I did insist she eat other foods, which she did. One funny food story. I took Kaitlyn and a neighbor boy to the library for story time. They got apples afterward for a snack. On the drive home, they ate their apples and talked about how delicious they were. Then the wondered why the apples were so good. They decided it must be the juice. They decided that the makers of apples must put apple juice into the apples to make them good. Kids are so funny. Last time I said I didn’t think Kaitlyn would be ready for rest time by this age, and she is! She has rest time instead of nap time most days. For Kaitlyn right now, rest time is 1 hour. I check on her after an hour and if she is asleep, I leave her for another hour. If she is awake, I let her get up. She doesn’t know the details of our arrangement. Some days she does take a nap, but it is really down to 1-2 days a week. Kaitlyn started preschool last month! She loves it. Her teacher tells me she is great with no problems. Kaitlyn is easy to correct. She doesn’t need time outs, privileges taken away, etc. You tell her once and she does it. I know I talk about the emotions often. That is why I slightly fear McKenna turning 3. Kaitlyn was not irrational until she turned 3. While she has her moments that are beyond my understanding, she is for the most part very happy and sweet. She is great at sharing with others. She is our peacemaker. She is very sweet to both of her siblings. Kaitlyn’s interests in life right now so far as toys are stuffed animals, My Little Pony, and Littlest Pet Shop. She often plays babies, but really only with McKenna (that is her passion). She will also play Legos, but really only with Brayden (his passion). She loves, loves, loves her cats. You can tell Kaitlyn is an animal girl, right? She also loves to read and look at books and loves to color. She will sit at the table literally for hours coloring. 2:30–up from rest time. Independent play. 3:30–free time. Some days video games. 4:00–play with Brayden and sibling play until dinner. Continuing on with my new tradition of doing summaries, here is a summary for Brayden as he is now 4.5! Here are some notable items going on with him right now. I am sure I will leave a lot out. It is hard to cover every pertinent item in one post! But here is a try. Sleep is good. A notable recent event is that we officially moved to rest time. He has rest time for one hour each day instead of a nap. He is in bed by 8 PM and up by 7-7:15 AM. Brayden has always been a very good eater. He isn’t always excited to try new things, but he always does. He is very good about eating fruits and vegetables. Brayden loves to eat. Brayden has always been a very obedient child. He desires to be good. He just gets easier and easier as he gets older. He is at a point that if he does something he shouldn’t, I remove a privilege instantly. He used to be on more of a warning system, but as he has gotten better, I have become more strict with it. I do this for things he knows he shouldn’t do. It is interesting as he matures, too. He fully recognizes and accepts that he did something wrong. He doesn’t complain about it at all. Brayden loves his siblings. He and Kaitlyn are best friends. The play well together.McKenna is his biggest fan. She just laughs and laughs at him, and he loves to entertain. Brayden has started socializing more with other children over the past six months. He will come home with new phrases or noises that I don’t approve of. I explain to him that we don’t do/say that and why. He understands and it isn’t a problem. Watching this process has made me more adamant about Kaitlyn not going out and socializing a lot because she doesn’t have the moral development as a two year old to be able to not pick up on the habits of other children. Our biggest obstacle with Brayden right now is bossiness. He thinks he is the third parent in the household, which is pretty normal for an oldest child. Let’s be honest, I still have a hard time not parenting my little sister! We remind Brayden that he is not the boss, not the Daddy, and that Kaitlyn doesn’t need another parent. She needs a brother. He catches himself sometimes and says, “Oh, yeah, I’m not the boss.” There has been slow improvement in this area over Kaitlyn’s life, but there is still much room for improvement. Sharing is our second biggest obstacle. He used to have a hard time sharing. He has had VAST improvement since Kaitlyn turned one and really started playing with him. He still struggles with the whole concept and sometimes believes that sharing means he gets what he wants when he wants it. As he gets older, he sees how happy it makes Kaitlyn when he shares and he likes to make her happy, so he does it. Brayden started preschool in September. He goes three times a week, and he loves it! He has a great teacher. He is one of the youngest in his class as a May birthday. Because of that, I have known that I might need to keep him back from kindergarten for one year. A couple of weeks ago, I asked his teacher about this. She told he he was absolutely ready and one of the smartest in the class. Well, I know that academically he would be just fine, but I wondered about socially and behaviorally. She said he was great socially and no problems behaviorally. She said he is always very good in class. She told me she had never even thought about him possibly not being ready for kindergarten next year, so that was good news. I think he would go crazy waiting :). His schedule changes a bit from day to day. He has a “preschool” day schedule and a “non-preschool” day schedule. 7:15 AM–wake, say prayers, come to my room. We then go set the table for breakfast. I get Kaitlyn up and we eat. We have a short music time. We then do a fast bath and get ready for the day. 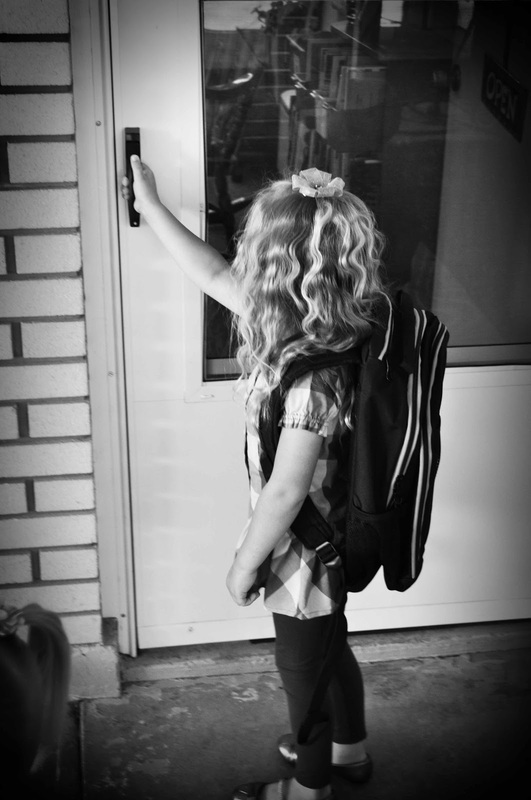 12:10 PMish–home from school. Eat lunch. Play with Kaitlyn until nap time. 3:30 PM–nintendo time/PBSkids computer games time/TV time. When weather is nice, he will go outside instead. Sometimes he plays with neighbors instead. 4:30 PM–Daddy home. Activities vary from that point forward. 7:00/7:30 PM–start getting ready for bed. Do chore charts. Stories. I love hearing about the older kids, too! I'm curious about your comment about immediately taking away a privilege. Can you give me an example or two of a situation that occurs and what privilege you take away? With only a 1.5 year old, I'm at a far different stage but have been thinking more and more these days about the different disciplining tools that are out there…I'm not sure what privilege I could possibly take away at his age where he would even notice and put two and two together! I was going through your blog here because I have a 4 year old daughter and I love hearing about other children her age. How great are the 4's? !I've never heard of the "-wise" series of books. I'd like to check them out now.I'm kind of wondering your feelings on discipline and obedience?For example I read in another post: "All children respond best to positive words. If you are constantly reprimanding and punishing and talking about the negative behaviors without thanking, hugging, and encouraging for the positive behaviors, your child will have no motivation to continue positive behaviors. "I totally get that. I've seen positive reinforcement change a child's behavior, for sure. I'm unsure about the "motives" aspect of all of this, though. Does the "-wise" series of books say that a child's motives of good behavior is parental praise and love? Or does it include other motives for good behavior? Thanks for your time. BTW I love your blog's design scheme. Melissa,Let's say he has a ball. He throws it in the house. I tell him not to or he will lose it. He throws it; he loses it.One thing I use often is television. He enjoys watching TV, and I don't feel bad at all if he doesn't watch it. So if he does something I know he knows not to do, I take the TV away for the day. But he didn't start caring about TV enough until he was probably 2.5.
ys,1. yes, he sleeps those night hours. 2. Yes, we have the same sleep times for preschool and non-preschool days. He actually isn't really more tired on school days, but I do know that happens with some children. 3. I carpool, so I only drive once a week. I actually have my parents come over and stay with the girls. I then drop off kids, run errands, and pick up. With McKenna's current schedule, it would be fine for drop off. For pick up, I would have to wake her up 30 minutes early (at least). But I can't fit my three plus two others in my vehicle. It works out nicely to I can run errands :)4. Where I live, it is actually common for children to not start preschool until age four. Very few do before age four. Kaitlyn really wants to start school now (big brother!). She could next fall. But I really just think it is important to have her home with me. I think it is important for me to teach her morals while she is at this age. She isn't morally ready to go out and learn bad habits from other kids and not have them stick to her. With Brayden, I can tell him that we don't do that, and he listens. He has the moral foundation to be able to start practicing. Kids barely start to understand morals at age three, so I don't think that gives enough time to really get that foundation under them if you start preschool at age three.Brayden is much better about sharing than he was when Kaitlyn first became mobile. It does improve, but I think the difficulty is always there to a degree. I am an oldest, and I have a hard time sharing with someone if I know they won't take care of my stuff!